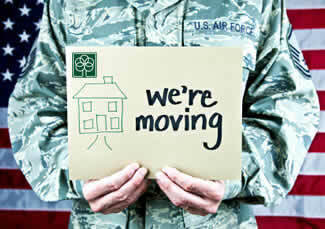 Robins AFB Real Estate and relocation services. Located in Warner Robins, Georgia, Warner Robins Air Logistics Center, the 78th Air Base Wing, is the largest industrial complex in Georgia. Robins AFB employs over 25,500 civilians, contractors,and military members. Fickling & Company Real Estate would like to personally welcome you to the area and provide military relocation services and information to you and your family. Whether you are a civilian, contractor, or soldier, you will find useful information on our website to help you with your transition. Please download a copy of our relocation packet. During your stay in Warner Robins, we hope that you will visit the museum of Aviation and learn more about how Robins AFB has played an important part in the stimulation and economic growth of the Middle Georgia area. If you choose to stay, Fickling & Company can help you transition from military relocation to permanent residency. Military On The Move (MOM) Rebate. Sign Up For Our FREE Relocation Packet! In an effort to reduce spam, you must answer the following question correctly! Which color is in the American Flag? purple, red, yellow, or green?